The Menuhin Competition is accepting applications for its 2016 competition, which will be held in April 7-17, 2016 at the Royal Academy of Music in London. Click here for the application and repertoire information. The deadline to apply is October 31, 2015. 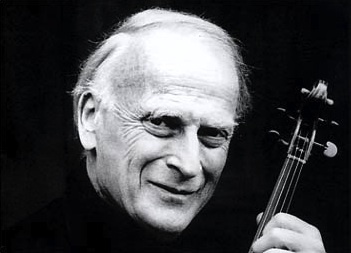 The Menuhin Competition was started in 1983 by violinist Yehudi Menuhin (1916-1999) -- who would have celebrated his 99th birthday this April 22. Prizes for Senior Section include: First prize, £10,000 and a 1-year loan of a golden period Strad from J&A Beare; Second prize £7,500; third prize £5,000; fourth prize £3,000 and other special prizes. Prizes for the Junior Section include: First prize, £5,000; second prize £4,000; third prize £3,000; fourth prize £2,000; fifth prize £1,000; and other special prizes. Jury members for 2016 will include Pamela Frank of the U.S., Chair; Joji Hattori of Austria, Vice-Chair; Ray Chen of Australia; Martin Engstroem of Sweden; Ning Feng of China; Julia Fischer of Germany; Dong-Suk Kang of Korea/U.S. ; Tasmin Little of U.K.; and Jeremy Menuhin of Switzerland. Past Menuhin Competition winners have included Julia Fischer, Nikolaj Znaider, Chad Hoopes, Isabelle van Keulen; Ilya Gringolts, Ray Chen, Alina Ibragimova, Daishin Kashimoto, Tasmin Little, Lu Siqing, Ning Feng and many others. 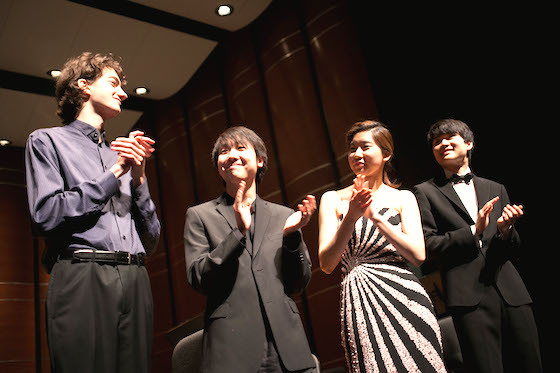 The 2014 Menuhin Competition was held in Austin, Texas. Winners in the 2014 Senior Section included 1st Stephen Waarts; 2nd In Mo Yang; 3rd Christine Seohyun Lim; fourth Stephen Kim. Winners in the 2014 Junior Section included 1st Rennosuke Fukuda; 2nd Daniel Lozakovitj; 3rd Ludvig Gudim; 4th Alex Zhou; and 5th Jaewon Wee.